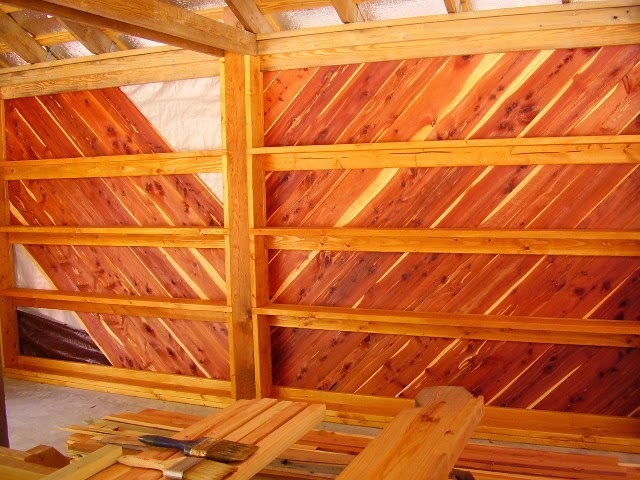 Would like to show a couple of pictures of how the interior of our barn was done . The posts are Douglas Fir , as are most of the bookshelve grits . The diagonal walls are local grown , cedar. The interior is actually the first layer of the exterior . We then cover the first layer with a special black paper , and than add the vertical outside siding . Lin did all the interior walls with clear coat lacquer . The boards are just square cut , no matching or ship lapped . I select and match them for fit , most of the stuff from this local mill is very good . The boards that are not , totally straight , we use on the exterior . Once in a while if needed , I would plane an edge to get a better fit , if the board was extra nice . 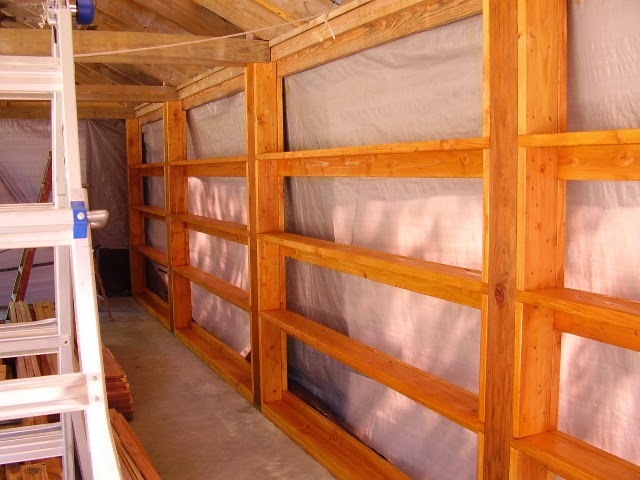 In both pictures you can see , tarps have been hung on the outside to keep the walls dry , while we constructed them . These two pictures are from July 2012 . Thanks again for your interest .